.is she in pj’s? 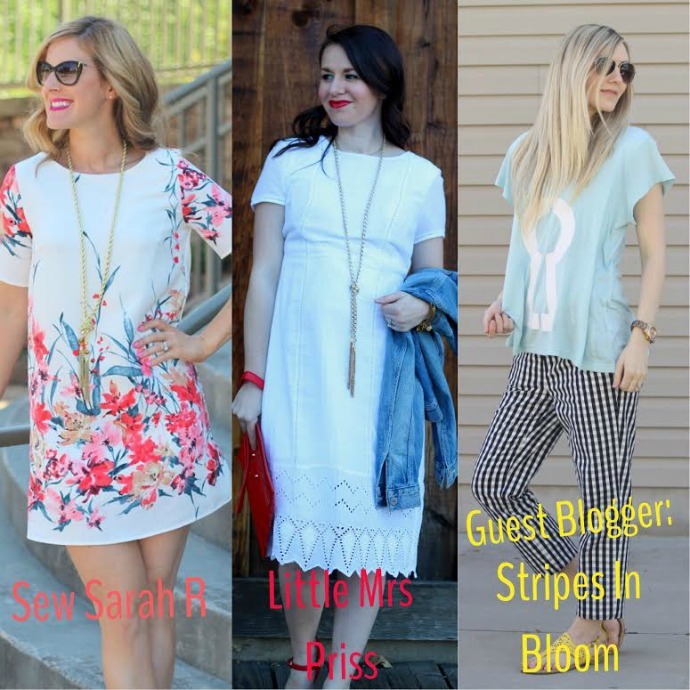 & blogger linkup. today’s outfit legit feels like pajamas! who doesn’t want to be comfy right??!! that’s why we wear leggings 😉 but let’s get real. gingham looks more trendy & put together than leggings. 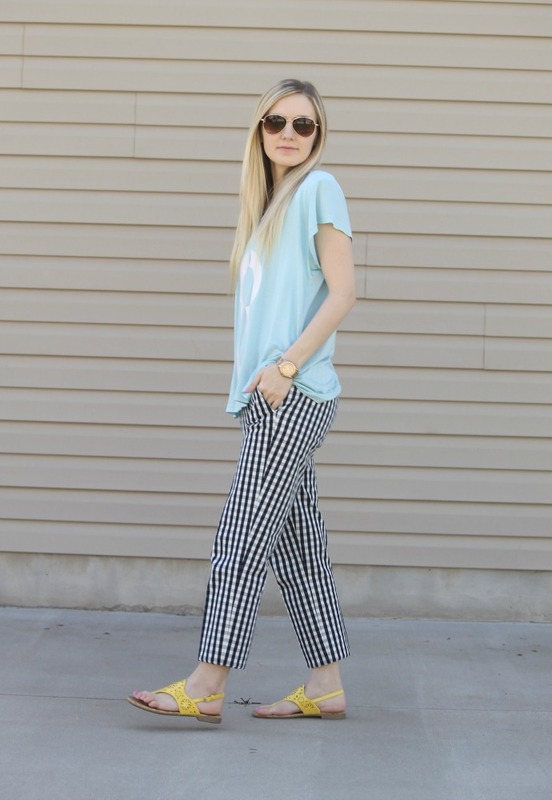 I told you I’d share more ways to wear these gingham pants, and this look is very casual but still fun and bright. I love the Cara Loren tees because they’re so oversized, they remind a bit of Wildfox for their fun sayings and bright colors. 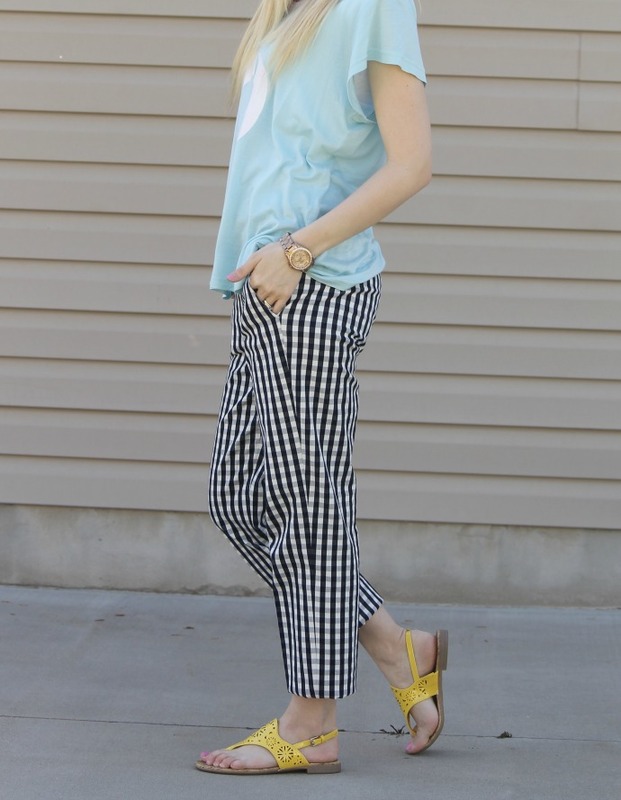 I must be on a yellow kick lately, but these patent sandals were the perfect pairing for all of the blue I had going on in this look 🙂 what do you think of an oversized tee with gingham pants? would you wear it? Previous Post .pre nap, church outfit. Next Post .yellow lace dress.